If you are looking to resolve the conflict in your life, you’ve come to the right spot. This guide will teach you what you need to know about conflict resolution. Conflict in itself is not bad. There are always going to be disagreements. There will always be times that we each come with different viewpoints. It’s how you manage the conflict that matters. In this guide, we will cover the conflict resolution strategies, skills, techniques and steps that you need in order to manage the conflict in your life, whether at work, at home, or in everyday life. In this section, we will discuss the negative consequences that happen when we handle conflict poorly as well as the benefits it brings when we resolve conflict well. For many of us, when conflict or a disagreement comes up, we stay silent. We try to “keep the peace” or hope things will just get better. That can make matters worse. When we don’t speak up, we are giving others tacit approval for that behavior. And people can take advantage of us. For example, if your kids come home after curfew, and you don’t say anything, by you not saying anything you are telling your kids that that behavior is okay. Or if someone keeps taking your stuff off your desk at work, and you don’t say anything, you are giving them tacit approval and letting them take advantage of you. In fact, they may feel emboldened to do more. When we don’t speak up, problems often grow and get worse. What originally was a small issue now has become a large issue. And, when you actually do say something, it makes it even harder because you waited so long. When we don’t resolve conflict well or in the right way, it hurts our health. For one, it can cause extra stress, which adds negative effects in itself. Poorly handled conflict and built up unspoken issues can lead to depression. Not only can resolving conflict poorly hurt you, it can hurt your kids as well. Not only that, but children often emulate what their parents do with their peers. Poorly handled conflict can also destroy relationships. So many marriages have been destroyed because the couple did not know how to deal with conflict. Friendships can be destroyed. Relationships at work can be tense and harmful because people do not know how to resolve conflict well. Not only does poorly handled conflict hurt relationships, but it can also hurt businesses. Poorly handled conflict at work hurts productivity. It has damages company culture and morale. It increases turn over. It leads to poor decision-making. And, ultimately for the business, it leads to lower revenue. While there are many negative for handling for resolving conflict poorly, there are also many benefits for resolving conflict well. When you speak up and handle conflict well, it keeps people from taking advantage of you. It establishes good boundaries with other people and lets them know what behaviors you will and won’t allow. It also helps keep you from taking on too much because you now say “no” when you need to say “no”. Appropriately resolved conflict can improve your relationships in many ways. First, as mentioned before, you have better boundaries. You also get to learn more and dig deeper into people’s lives. When you listen instead of arguing, you gain a better understanding of the person, and that leads to a deeper relationship. It improves communication with the other person as well as better problem solving and solution finding. If someone comes to you about an issue and you take the time to listen instead of getting defensive, that shows you value their input. When you take the time and effort to confront someone about a behavior or issue that is hurting them, that shows care. You are risking them getting mad at you because you love and care about them enough to say something. All too often people stay silent, assume someone else will tell them, or assume they already know. It shows a lot of care to be willing to confront them in order to help them. It also reduces stress and leads to better overall health. It leads to more happiness and joy in your life. It also helps you grow as a person. When you take the time to listen, learn and resolve conflict well, you gain perspectives you never had before and grow as a person. When you listen instead of being defensive, you can learn about your negative habits and behaviors that you may not see and can change to be a better person. It also leads to more confident kids. When they see you and your spouse resolving conflict well, it teaches them how to resolve conflict better. It also helps them become more confident and emotionally healthy kids. 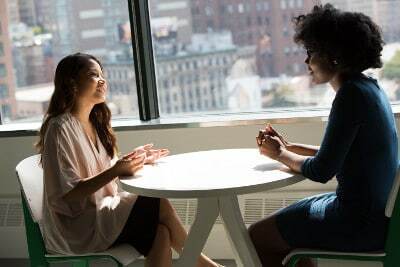 Healthy conflict resolution in the workplace can increase productivity, increase morale, improve company culture, produce better decision-making, and increase revenue. 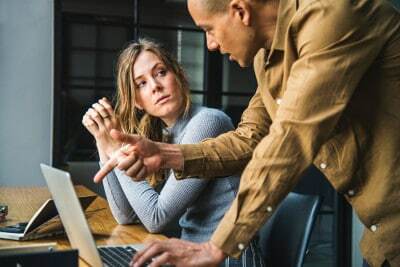 When people are free to disagree with each other without spite or negative repercussions, it leads to better decisions, better planning, and better direction for the company. In this section, we will discuss the many ways we often do it wrong. Sadly, many of these behaviors are the “normal” that we often see in relationships. By recognizing them in ourselves, we can begin to change them and chase after the “abnormal”. One of the biggest ways we often do it wrong is that we never speak up in the first place. We stay silent and let people run over us. Or we stay silent and “assume” the other person knows or should know. Then, instead of speaking up, we start giving a cold shoulder to the person. We avoid or act differently toward someone, expecting them to know “why” we are acting that way. Other times we may just give sarcastic comments to the person. We don’t speak up, but we show it with small sarcastic comments here and there. Or we do hit and run comments, such as “wow, you finally learned where the hole for the gas tank is” or “forget where the hamper is again?”. Other times we will hold until we explode. We will let all the negative behavior build up without us saying anything. We are “keeping the peace”. Then, as the anger builds up, we will reach a breaking point and explode on the person. We let the other person have it. Then, often, we may feel guilty and go back to silence. Or maybe we will just collect all the negatives that someone does and “put it in a gunnysack”. Instead of speaking up, we just stay silent and remember everything that they did (or assume that they did). Then, maybe when they bring something up or we get to a certain point, we let them have it. We list off everything bad that they have done over the past who knows how long. Other times we may be indirect with someone. Instead of saying it straight, we hint at it or say it as a joke. Then we expect the other person to “get it” and get upset when they don’t. Other times we may just completely refuse to speak. We may avoid the issue by just being silent. We may physically walk away. While that may prevent an argument right then and there, in the long run, it makes the conflict worse and hurts the relationship. Or we decided to punish the other person. We may try to get at them somehow. We may do the opposite of what they requested or make blatant negative facial expressions and body language. Sometimes we may not say anything to the person who we have an issue with, but we’ll let the anger build and take it out on others around us. Have you ever snapped at someone for something that wasn’t a big deal; you were just upset at something else but took it out on them? While staying silent and its many cousins can be harmful, so is when we speak up, but do it poorly. One reason many arguments turn out so badly is that the focus of the “discussion” is not to understand or to resolve the issue. The focus is on winning. When you focus on winning an argument, even if you win, you lose. You may have “won” the argument, but you hurt the relationship. And all to often, even if you “win”, with that mentality, the person likely didn’t even change their mind. They just became more entrenched in their viewpoint. Facts are the facts of what happened. That person pulled in front of you. Johnny didn’t clean up his mess. Assumptions are generally the reason why we assumed it happened. That person is a selfish jerk. Johnny doesn’t care about helping out around the house. All too often, it is so easy for us to assume the intentions, the “why”, of what someone did, and state them as facts. And generally, as humans, we usually assume the negative of others. Another way that we may wrong is that we lay blame on the other person. We blame them for the issue and don’t take any responsibility for ourselves. We attack the person instead of dealing with the issue. Instead of doing it face to face, we may say something over an email or text message or on social media. Doing that is ripe for miscommunication, and people often feel more inclined to say things they normally wouldn’t behind a screen than when they actually talk to someone face to face. Married couples may argue in front of their kids. People at work may argue in front of everyone else. Or you may bring up an issue with someone in front of other people who have no business knowing about it. That’s not right. It always should be done in private. Too many times we involve others who have no business being in that business. One common way is gossip. When you talk negatively about someone behind their back, especially if it’s just a rumor (even if you got it from a “good source”), that’s gossip. And that’s a deadly poison. Other times we may build allies to our point of view and “war” against the other person. That brings much disunity. Other times we may triangulate. Sometimes we verbally attack the other person when we have a disagreement. We may be nasty or use sarcastic negative comments. We may name call or label or criticize them. We may public publicly assassinate the person in front of other people. Arguments can easily escalate. When one person starts being negative, the other person ups the ante and attacks even harder. And then it goes up. And up. Pretty soon, everyone’s moved from resolving an issue to hurting one another. It can be easy to exaggerate other’s behaviors (and diminish ours). We may even use extremes such as “you ALWAYS do this” and “NEVER do that”. We put ourselves in a position of superiority above the other person. We belittle them and their ideas. We may give them a patronizing smile and treat them and their feelings as unimportant and stupid. Sometimes we take things personally when we shouldn’t. We assume that some things are about us or against us when they aren’t. Or we just take a critique about something about us as an attack on our character versus an action or a skill that we need to improve. When someone comes to us about an issue, we can easily get defensive. We argue against it or cast blame back on the person or someone or something else. We don’t take the time to actually listen and understand. Sometimes we can get worked up over nothing. We blow things out of proportion and exaggerate it. We assume the feedback we receive is way worse than it really is. 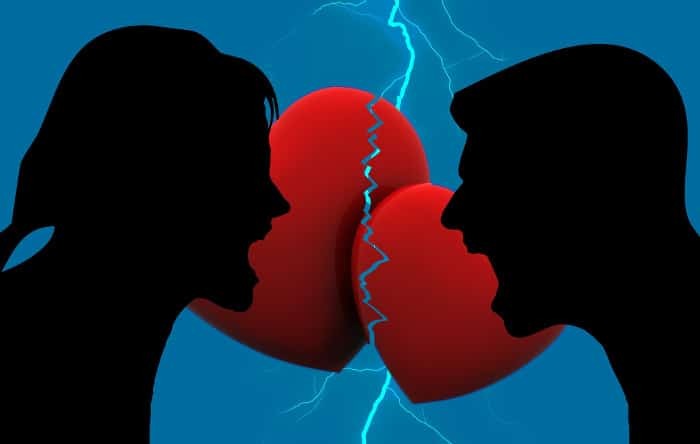 In this section, we will cover a little about us as humans and go over some of the basics of handling and resolving conflict. We all come into a situation with what Howard Guttman in When Goliaths Clash calls a “going-in story”. We all have past experiences, different beliefs, different viewpoints. We all have different backgrounds and different personalities. When we go into a situation, we bring all of that with us. We may see a different part of the issue (we have different data). We may interpret the situation differently because of our going-in story. It can be easy to assume sometimes that our perspective is the only perspective. But sometimes we don’t see the whole puzzle. Sometimes things aren’t as black and white. Sometimes a situation can have different interpretations. If we take the time to listen and understand versus viewing our interpretation as the only right one, we will go through the process a lot better. We often do not see our blind spots – hence the name. We generally do not see our body language or hear the tone we use. We can sometimes use a tone and body language that can come across as negative towards other people, and we don’t even realize it. It’s important to watch for our blind spots. If people are responding negatively to how we come across, you might want to examine yourself. Asking others how you come across can help. When we react to a situation, it’s usually not to the situation or event itself but to the story that we tell about that situation. For example, you’re driving down the road, someone cuts in front of you, and you react negatively toward that person. Fact: Someone pulled in front of you. Story: That person is just being rude and is a jerk. If you knew the person was trying to get to the hospital before their child died, would you still react negatively and in the same way? Or might you actually slow down and let them in? You see, we react to the story we tell about the person, not the event itself. We constantly tell ourselves stories. We make assumptions about people and their intentions. And we react to those. And as humans, we usually assume the negative about people. If you want to change your response, change your story. And when you want to resolve an issue with someone, separate the facts of the situation from the story you tell. Don’t state the story as fact, but as what it is, an assumption. Confirmation bias is when we believe something about someone or a situation, and we look for evidence that confirms our beliefs and disregards the evidence contrary to it. It’s something that we often do without thinking about it. And it can be dangerous. It can be incredibly easy to be swept away by our negative assumptions and find everything around us to prove it. It’s important to watch for confirmation bias in conflict. If we are constantly assuming the negative about someone, we’re going to look for the negative and find things to confirm why we think the negative. Instead, assume the positive and look for it. Give the benefit of the doubt. This doesn’t mean you disregard issues or ignore them, but, generally, you do get what you expect. What is the goal of conflict resolution? It’s not to win, prove yourself right, or to prove the other person wrong. If you do that, you’ve already lost. 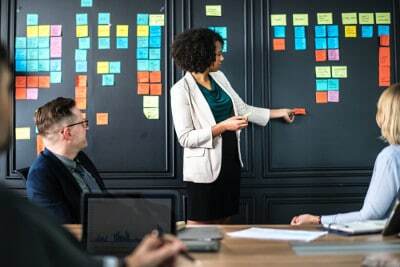 The goal (in most cases) is for each person to listen and understand each other person’s perspective and position and then to work together to come to a solution that satisfies everyone involved. In some cases, you are dealing with negative, abusive, or toxic behavior. In those cases, you may just have to set up boundaries or do disciplinary action. You may also need to get outside help. Check your motives. Why do you want to have this conversation? What’s your purpose? If it’s to prove yourself right, to prove the other person wrong, or to “win”, you’ve already lost. Is it to better the relationship, to avert a disastrous decision at work, or to make the situation better for everyone? Find your purpose and focus on it during the conversation. It can easy to lose focus when emotions get high and to start focusing on proving your point or winning than pursuing your original purpose. Always keep your purpose in mind. Also, sort through the facts and your feelings. What happened? How did it make you feel? Why do you feel that way? What are the facts and what are your assumptions about the situation? We discussed earlier the dangers of being silent. The longer you wait, the harder it is to have the conversation and the worse the situation can get. It can also be unfair to the other person who thinks they are doing something okay and was never told it wasn’t. Don’t wait and let the issue build. Resolve it in a timely manner, as soon as you can (but not when you are angry or in a very emotional state). Always be respectful. Always treat others as you would like to be treated. Never belittle, patronize, insult or put down the other person. Always treat each other’s opinion, viewpoint, and feeling with respect, even if you disagree. You would want others to do the same to you. Deal with the right issue at the right time at the right place with the right person. Make sure you’re dealing with the right issue. It can be easy to focus on the surface level problems and not really deal with the real issue at hand, or focus on a smaller aspect of it because you are afraid to deal with the real issue. 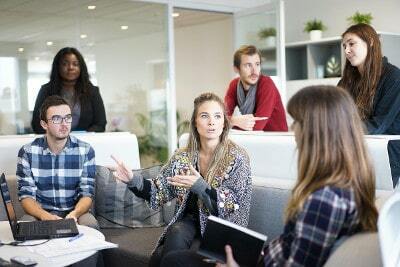 If someone is frequently late to work, and they interrupt other people when they come in, talking to them about not interrupting people will not solve the real issue, that they are constantly late. Also, if there are multiple issues that need to be addressed, make sure you deal with the most important issue first (generally). Make sure it’s at the right time. When someone is stressed, frustrated or angry, or even right when someone gets home from work or right before bedtime is generally not a good time. Make sure you both are in a good emotional state where you can have the discussion. Make sure it’s the right place. And when you have the conversation, try not to have objects between you and the person (such as tables and chairs). Those create barriers. Also, depending on the person and situation, sit beside or an angle to the person versus directly opposite. It will give more of the impression of you working together versus being in opposition toward one another. Make sure it’s with the right person. Don’t involve someone who’s not involved or who can do nothing about the situation. Go to the person you have the issue with and deal with it. If that doesn’t work, you can take it to another level (such as at work). 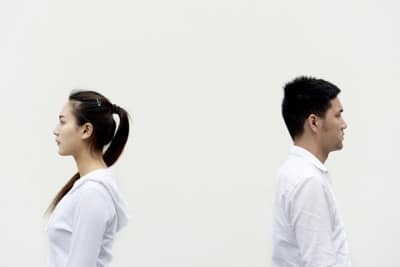 If it’s between a relationship, depending on the issue, you may get extra help from someone, just learn to live with it, set boundaries, or you may need to cut off the person (such as if they are toxic or abusive). Sometimes there are multiple issues that need to be dealt with. Stick with one issue at a time. Make sure to separate assumptions from facts. Know what the facts are and what your assumptions are. When you go into a conversation, make sure to state assumptions as they are, as assumptions, not facts. It can be easy to assume the worst in someone and assume the worst intentions. According to Kerry Patterson and Joseph Grenny in their book Crucial Conversations, it’s important to make the situation safe. In this context, safe doesn’t mean physically safe (though it should be). What it means is that the other person should feel safe talking to you without judgment, criticism, or false motives. Often people get defensive and don’t listen because they think the other person has negative motives or that they are being critical or judging them. Make it safe for them. Apologize – if you have contributed to the problem, apologize for your part in it. Find a mutual purpose – find a purpose that you both can agree on to pursue during the conversation. Too often disagreements turn to a “you versus me” mentality. Change that into a team mentality. Instead of working against each other and seeing each other as the enemy, see the other person as an ally, a teammate, working together to resolve the issue. You are taking the different perspectives, putting it together, and coming to a solution that (in most cases) is agreeable to everyone involved. 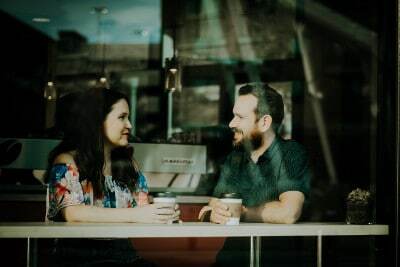 Dr. John Gottman in the Seven Principles for Making Marriage Work says that research tells us that when a conversation starts harshly, it will inevitably end on a negative note. Make sure you start the conversation off respectfully and calmly. Don’t attack, accuse, or belittle. We will discuss how exactly to give the message in a coming section. Focus on dealing with the issue, not attacking the person. Attacking the person will just bring defensiveness. If you focus on the issue instead, you are much more likely to be able to work together to resolve it. Douglas Stone and Sheila Henn in their book Thanks for the Feedback, say that it’s important to watch for switchtrack conversations. Switchtrack conversations happen when two people start arguing, but they are arguing about two different issues. An example is if you complain about your spouse not putting the clothes in the hamper. Your spouse comes back and says that he or she has been doing that all week and even cleaned up something else that they normally don’t do and that you don’t show appreciation for what they did. So tell me, are you arguing over the same thing? Are you both arguing about clothes not being in the hamper? No. Your issues are clothes not being in the hamper. Your spouse, on the other hand, is discussing the issue of not being appreciated for what he or she does. Two different issues. Two different conversations. Sometimes emotions can get high and the disagreement can start to escalate to insults or attacks. Before that happens, call “timeout”. If you see that you or the other person is starting to get angry, call a pause to the conversation and suggest meeting at a later time. Accept your feelings as legitimate and real, because they are. They are how you feel. At the same time, accept other’s feelings the same way. You may not agree with it, but they are feeling it. You can’t argue against feelings. Too often, when we give feedback, we say something nice, then throw the word “but” in it. Or even, “I don’t really want to say this, but….” (yes you do). The “but” takes away from the positive that you just said. In the first instance, you are saying what you are about to say isn’t loving! The fact is, you can’t make other people change. You can’t control other people’s behavior. You can’t make other people listen. What you can control, however, is you. You can control how you come across in the discussion. You can control how you react. You can control what you do if the other person doesn’t listen. Focus on what you can control, not what you can’t. You can’t control the other person, so don’t focus on that. Instead, focus on how you will react based on what they say or do. In some cases (such as in a marriage or work), you can set ground rules on how you will deal with conflict. Rules such as when conflict can and will be brought up, how it will be brought up, how you will do the discussion, who to take it to if you don’t come to a solution, rules about sharing with those not involved, rules about timeouts and so on. Setting ground rules can provide safety for the conversations and help each other open up. Listening is a powerful tool for improving relationships and resolving conflict. The first goal of most conflict resolution conversations is for each party to understand each other, and you do that by listening. Having the ability to listen well is important for numerous reasons. First, you want to be heard. You want to share your viewpoint. One of the best ways to get the other person to hear you out is to hear them out first. If you interrupt, argue, or just don’t listen, they are not likely to take the time to listen to you. It also leads to greater understanding. Often we can find that our goals aren’t too different if we just listened. Or, even if they are different, by listening and understanding each other, we are much more likely to see the bigger picture in the situation and be able to come to a better solution. So how do we listen? Really listen. Really care about what they are saying. Don’t fake it. It will show. GIve your full attention to the other person. Don’t be looking at other people, checking your phone, or watching tv. Give the person your undivided attention. Too often we start thinking about how we want to respond or what we want to say instead of listening. Just focus on what they are saying. Instead of thinking of the conversation as a tennis match, going back and forth, think of it as a detective game. Let your goal be to find out as much as you can about the other person, their perspective, and their viewpoint. Reflect their emotions back to them. Repeat back what the person said in your own words. Make sure you understand what they are saying. This also helps them know that you heard them and understand. Paraphrasing is very powerful and important. Look at them in the eyes. Stand (or sit) up straight facing them. Don’t frown or show any kind of disgust on your face. Smile where appropriate. Don’t cross your arms if you can help it. Shaking your head (unless in agreement or showing a “wow, I can’t believe it” response or the like), rolling your eyes, etc. will just turn people off. 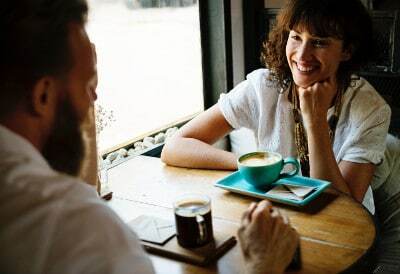 Mirroring someone’s body language and speech pattern can help you connect with someone. If someone is talking very slowly, and you start talking very fast, there is a disconnect there. It’s rude. It’s no fun when you are talking or telling a story, and someone jumps in before you even finish to tell theirs. It’s deflating. And if you wouldn’t take the time to listen to them, why do you think they would listen to you? Just because it doesn’t seem a big deal to you doesn’t mean it isn’t to them. Don’t minimize their problems or their feelings. When you do that, you are shifting the attention from them to you, and they may not feel heard yet. Instead, dig deeper into their story. In this section, we will discuss how to receive feedback and criticism from other people. We will talk about why we often reject it and how to receive it well. Why is it important that we receive feedback well? When we learn to listen and accept feedback, we grow as people. We become better people. We may learn about a behavior that could be hurting our relationships or our careers. Or we may learn something that could help us do things even better. When you never listen and always play the blame game, you stay stuck where you are and never get better. By listening to others, you can resolve issues. You fix problems before they grow larger. Even if you didn’t do anything wrong, if you listen, you can find where misinterpretations and unintentional consequences happened and resolve them. When others feel they can come to you and communicate about the different issues in your relationship or life, it brings you closer to them. You build deeper, more intimate relationships. Unfortunately, instead of listening, we often get defensive. We argue why something happened and blame someone or something else. According to Douglas Stone and Sheila Heen in Thanks for the Feedback, there are three main reasons for our rejection: truth, relationship, and identity. Sometimes what the other person says is just plain not true. So yeah, we reject it. But the truth is, we often don’t listen enough to really know if there is any truth in what they are saying. It can be easy for us to find some nugget of falsity in what they are saying so that we reject the whole thing. While some of what they say may be false, some of what they say may be true. And if part of it is true, then if we listen to that, we can change for the better. Listen. Listen to what they are saying and try to understand it. You may end up disagreeing with them, and that’s fine, but your first goal is to listen and understand. Let your mind shift from wrong spotting to difference spotting. You never know, you might find a golden nugget in what they say. It can be easy to reject feedback based on who the person is who is giving the feedback. Right? Or we may question their motives and intentions for giving it, so we don’t listen. When we do that, we may miss out on something important or that could make us better people. And we have to remember, our assumptions are assumptions. We don’t know if they are true unless we ask or talk to them about it. Truth is though, sometimes we can receive the best feedback from those who aren’t like us or don’t like us. So, instead of quickly rejecting something because of who is saying something or what you think their motives are, listen. Then, if you need to deal with the intentions or “why is this person talking to me about this”, do that. Often we reject feedback because it affects our identity, who we think we are. If we accept the feedback as true, then that means we aren’t the person we think we are. We aren’t as good or kind or talented as we picture ourselves. Some of that can come from a fixed mindset. The fixed and growth mindset concepts come from Dr. Carol Dweck in her book Mindset. A fixed mindset believes that your intelligence and abilities are all set from birth. Because of that, everything is a test or competition to see and show where you stand. When someone with a fixed mindest receives feedback, it knocks them down a level, and they don’t want that. A growth mindset, on the other hand, believes that we aren’t set from birth, that we can always grow, learn, and get better. A growth mindset is more likely to take feedback as an opportunity to grow and get better, not a test or something that shows them as deficient. We all can take feedback differently. For example, for some, they take it, hear it, and move on. Others may exaggerate it more than it means. You get a bad report and you take it as the end of your career, or it means the person doesn’t love you anymore, or it means you are an utter failure. It can sometimes be easy to assume the worst and exaggerate the feedback well beyond what it means. Separate the facts, feelings, and assumptions. What was really said? What does it really mean? What is not being said? How do you feel? Why do you feel that way? What are you assuming to make you feel that way? What are your assumptions? Are those based on fact? What is really being said? What do you know and not know? Just because you make a mistake doesn’t make you a bad person. Don’t see yourself in such a “one or the other” mentality. Don’t see it as an attack on your character but as an area that you can improve to get even better. Realize that we can all grow and get better. Feedback is not a test showing how you are deficient, but an opportunity to learn, grow, and get even better. So how do we actually receive feedback? Prepare yourself if you can. If you agree to talk to someone about an issue, prepare yourself for what they may or may not say. Think through the situation and see where you have contributed to the problem. Make sure your motives are right. The the most important part of receiving feedback is listening. Your goal is to listen, to understand their viewpoint and what they are saying, and to make sure the person feels understood and validated. Remember, validating someone and listening is not the same as agreeing with them. As you listen, paraphrase. Make sure you understand what they are saying (and show them that you do). Sometimes a person may be indirect or not really know how to express themselves. You may need to ask questions to dig deeper and to help them find the assumptions or “story” they told. After the feedback giver shares the feedback, it’s your turn to respond. Remember not to get defensive or attack or belittle. Share your viewpoint of the situation, starting with the facts and then moving to your story and feelings. You may need to go back and forth with the person before the situation is resolved, listening back and forth. If they recommended you do something, and you don’t know how, ask for suggestions or help. Patterson and Grenny in Crucial Conversations suggest the ABC Method. You first focus on what you agree about with the person. Then build on it with something they missed or may not have known. Then you compare the differences between your viewpoints. You don’t say that one person is wrong and that you are right, you show the difference. That’s okay. They could be wrong. Just tell them. Be transparent. Don’t be rude about it, but let them know. Be firm and appreciative. Do you always have to listen to feedback? Sometimes you may not be in an emotional state where you can listen. Or maybe you have a lot going on in your life and you just don’t want to hear it right now. Just be careful not to use this as an excuse not to listen to other’s feedback ever. In this section, we will discuss the techniques (using all we’ve learned so far) to share with others the feedback and issues that we need to deal with. We will cover a couple of techniques you can use when confronting others with an issue. Your first step is to prepare yourself. Make sure you have made yourself right first. Make sure you have the right motives. Prepare what you are going to say to the other person. Writing it out can help. You can also prepare for how the other person may respond. This doesn’t mean dwelling on and assuming the negative; rather it means planning for different possibilities. Lastly, it can help to visualize the conversation. Close your eyes and see yourself talking to the other person calmly and respectfully. See yourself giving the message with confidence and humility. There are multiple ways to give the message. The I message is effective because it doesn’t blame or attack the other person, but focuses on you. I have taught this to some of the groups of kids that came through my house (as a foster parent) and it was very effective. Here’s how you give the I message. “I feel sad when you talk to me in that tone of voice because it makes me think you aren’t listening to me”. Notice that in no way do you attack or belittle the other person. You don’t bring assumptions into it. You focus is on how the behavior, “the facts”, affect you. Another method is the “straight talk” method, as mentioned by Howard Guttman in When Goliaths Clash. With straight talk, you tell someone what you need and why. This can be especially useful for managers or for parents of teenagers, though it can apply in other areas as well. It’s useful when giving a command and adds a sense of respect toward the other person by giving a why. I call this the core method because when you look at most books on conflict resolution and conflict management, most boil down to this simple core steps. We covered this earlier. You want to prepare yourself and be ready before confronting someone. You start with the facts of what happened, not your interpretation of it. Facts are least controversial. You then state your assumptions, your story, tentatively (because you could be wrong) and talk about how it affected you. After you shared the facts and your viewpoint, you ask them to share theirs. Ask questions and probe if you need to. If they get defensive, remember what your purpose is. Let them know what your purpose is and isn’t. Listen to them and paraphrase. Make sure you understand them and their viewpoint. As new information becomes available, you may need to go back and forth a couple times to share facts and stories. Remember, the purpose is to work together as a team to solve the issue, not working against each other. You are looking for the third story – yours and theirs together. You then move on to problem-solving, which we will discuss in the next section. Markman, Stanley, and Blumberg in Fighting For Your Marriage share a technique called the Speaker Listener Technique. With the Speaker Listener Technique, an object or spot on the floor represents who the speaker is. It could be a stick, a remote control, and so on. Whoever holds the object is the speaker. The other person is the listener. The listener is not allowed to talk except to paraphrase what the speaker is saying. The participants pass the object back and forth as needed to discuss the issue and paraphrase the issue. In fact, with the Speaker Listener Technique, they recommend paraphrasing, basically, after every statement. This technique, or a variation of it, can be quite useful, even in a workplace. Have an object that represents who the speaker is, and only the person who has the object can speak a viewpoint. There is no defensiveness or arguing back. Whether you use an object or not, having each person listening to the other and paraphrasing back to make sure they understand is the goal you want to pursue. In this section, we will cover the strategies, techniques, and steps for problem-solving and finding a solution. We will also cover what to do when a solution can’t be found. The goal of problem-solving is to come to a solution that satisfies both parties – in most cases. 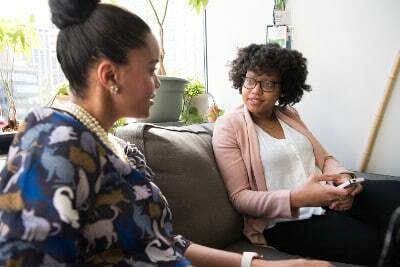 If the person is toxic, abusive, or you are setting boundaries, the other person may never agree to the boundary that you are giving, but you have to give it anyway (and if it’s abusive or extremely toxic – you may want to get extra help with that). But, in most cases, you want a solution both people agree on. If someone “agrees” to it but is not happy, they are less likely to follow through. Same thing if you pushed your solution and told them what to do. They might not do it just out of spite. You both give up something (or some things) and come to a solution that no one is really happy with. That is not your ideal solution. Instead, your goal should be to come to a consensus, a decision that everyone is happy with. It’s not that you will never have to give up something, but if you come to it with the wrong mentality and come up with a solution that no one is really happy with, follow through is likely to be poor. Instead, try to come up with someone that satisfies all parties involved. It’s just a fact – you aren’t going to be able to solve every problem. All marriages have problems. Having a happy marriage doesn’t mean you don’t have any problems. It means that you learned how to manage those problems together as a team well. Sometimes it’s a person’s personality or firmly held belief. You are going to have a very hard time changing those. In those situations, unless it’s a harmful behavior, your best bet is to find a way to live with it. Learn to cope. Learn to see it as a positive and benefit instead of as a negative. If the behavior is harmful or abusive – get out and get help. In a work situation, it might mean letting someone go or putting them in a position that fits their personality better. And, truth is, you can’t make someone change. Some people will choose to continue their negative behavior. You have to focus on you and what you can do. You can choose to cope and try to manage the behavior, or you can choose to cut loose and let go. Don’t just come up with a solution to get through the process – otherwise, you’ll be back dealing with it again really soon. Make sure it doesn’t solve just the superficial issues that spawn from it. Make sure it solves the real issue. Don’t be a martyr and accept something that doesn’t meet your needs. Make sure it meets your needs and the other person’s needs (except for the situations we described earlier). Again, if it doesn’t meet their needs, they are likely not to follow through. As you go through the problem-solving process, remember what your mutual purpose is and why you are doing it. This can help you stay on track and focus on the right solutions. Make sure everyone has said what they needed to say and everyone’s perspective is understood before moving to the problem-solving phase. When you are done, make sure to show appreciation for them working together with you to solve this issue. Make sure you decide who is doing what at the end of the conversation. And make sure you decide on when you will meet again to follow up to make sure the solution is working and everyone is doing their part. Otherwise, things are likely to fall through the cracks. Here are some basic steps that you can use in about any situation to come to a solution. Dr. Robert Bolton in People Skills says that we need to make sure to define the problem in terms of need, not solutions. From the problem discussion, you likely know what the needs are. Make sure you define them in order to focus your problem-solving on them. Get out a piece of paper or a whiteboard, and have everyone throw out ideas for solutions. During this time, nothing is critiqued or commented on. Everything is written down. Sometimes the wackiest solutions can spur the best solution. Don’t attach names to anything or seek to clarify. Just write everything down as it was said. After you finished brainstorming, then go through the list and see what ideas could work. Find the solution(s) that fit and meet both parties’ needs. Decide who will do what and by when. Write it down. Decide on a time when you will follow up to make sure the solution(s) are working. Take action on the plan. Make sure to follow up on the problem. Are the solutions working? Do you need to try something else? Is someone not following through? If things are falling through the cracks, you may need to have another discussion and find out why. Is it that the solutions chosen aren’t working or that someone wasn’t really happy about the solutions? In this conflict resolution guide, we covered the skills, techniques, and strategies that will help you resolve conflict the right way in your life. We covered why it’s important, how we do it wrong, the basics of conflict resolution, how to listen, how to receive feedback, how to confront someone, and how to problem solve. I hope this guide helps you better your relationships and the situations in your life. If you would, please share it with others. What steps are you going to start implementing today?